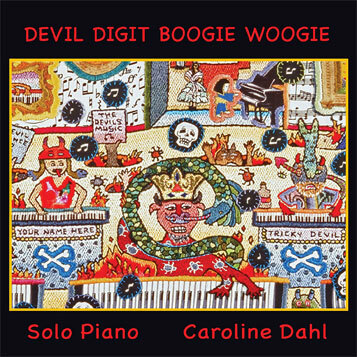 Devil Digit Boogie Woogie is Caroline's third CD & first solo piano album -- all Caroline, all piano. 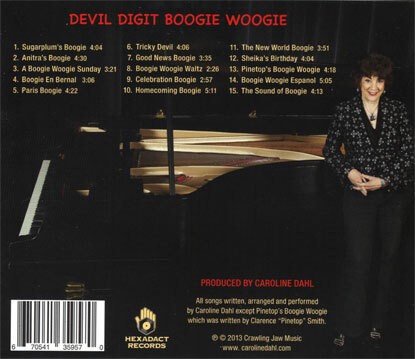 All 15 tracks (except one) are her own songs showcasing her special groove of Boogie Woogie and American Roots music. Caroline's unique compositions include snippets of great tunes like La Vie En Rose, Habanera, Just A Closer Walk With Thee, Anitra's Dance, Those Were The Days, My Old Kentucky Home, My Favorite Things and others.